Innovative courses for the public and customized training solutions for employers designed for professional development and skills upgrade. 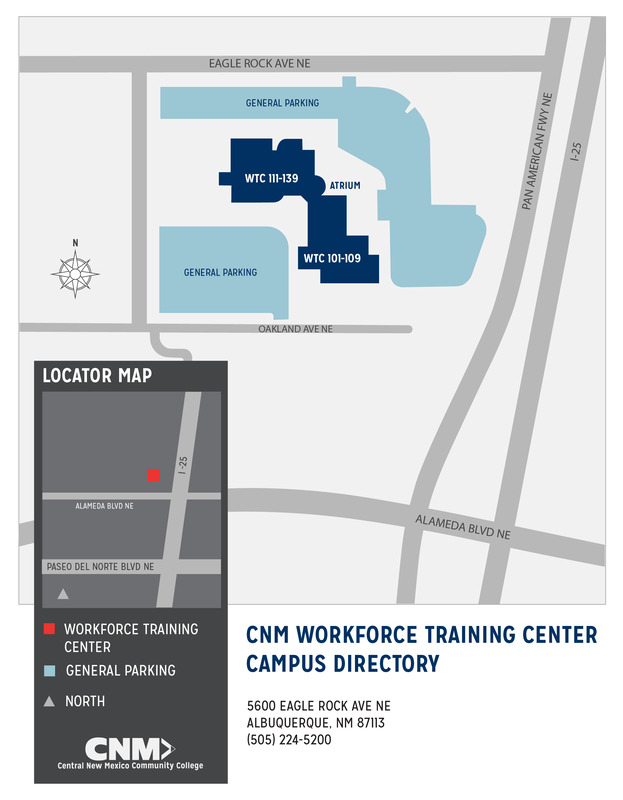 WORKforce Training powered by CNM Ingenuity provides innovative, customized training at our location or yours and job training courses designed for professional development and skills upgrade. All course offerings are available to the public and as customized/closed training. We offer options for community members and other organizations to utilize rooms at the WORKforce Training Center and other locations for meetings and trainings. We also offer conference services. Learn more. We also offer high-stakes industry testing, licensing and placement exams in the following fields: Castle Worldwide, Comira, LSAC, MCAT, Pearson Vue, Prometric, CDL, EPA, HESI, IC3, ICE, NABCEP, NREMT among others. We offer Continuing Education Units (CEUs) for various healthcare professions. See all our upcoming Healthcare Courses.